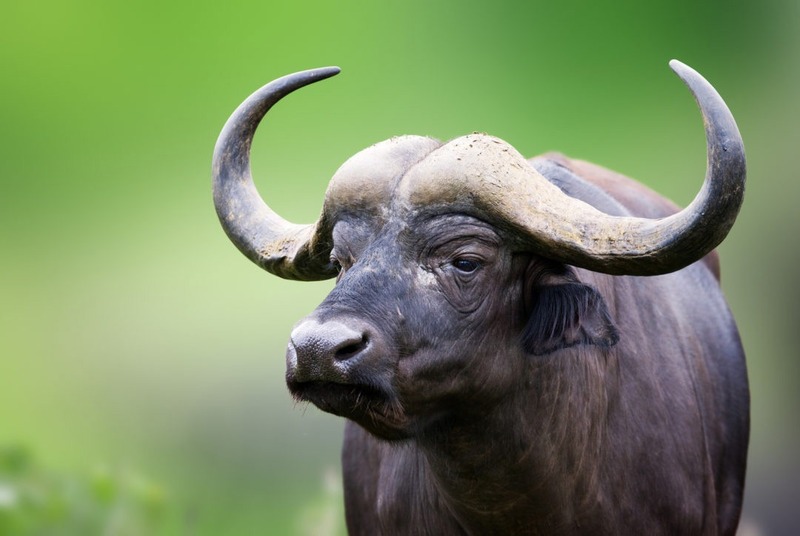 This is a fantastic trip back in time to ancient Greece. 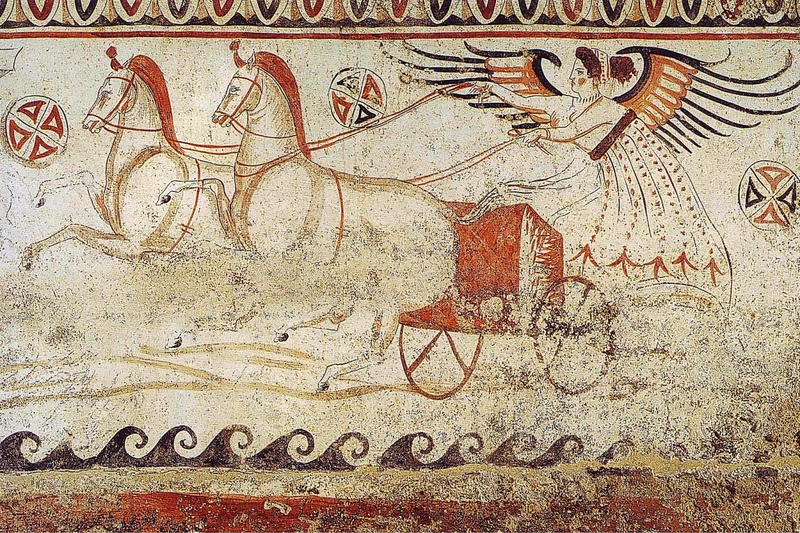 A two-hour drive south of Amalfi brings you to Paestum, founded by the Greeks in the 7th century BC. 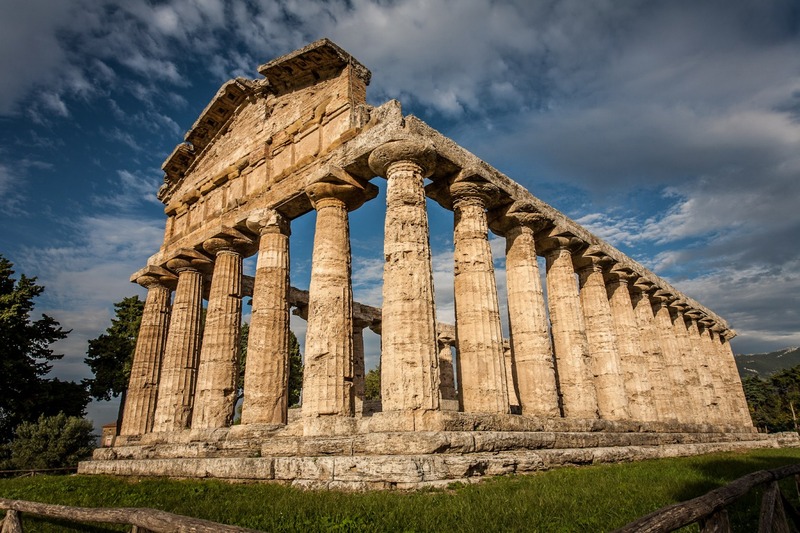 Originally named Poseidon, Paestum was later occupied by the Lucanians until in 273 BC, when Rome made it a thriving colony and gave it its current name. 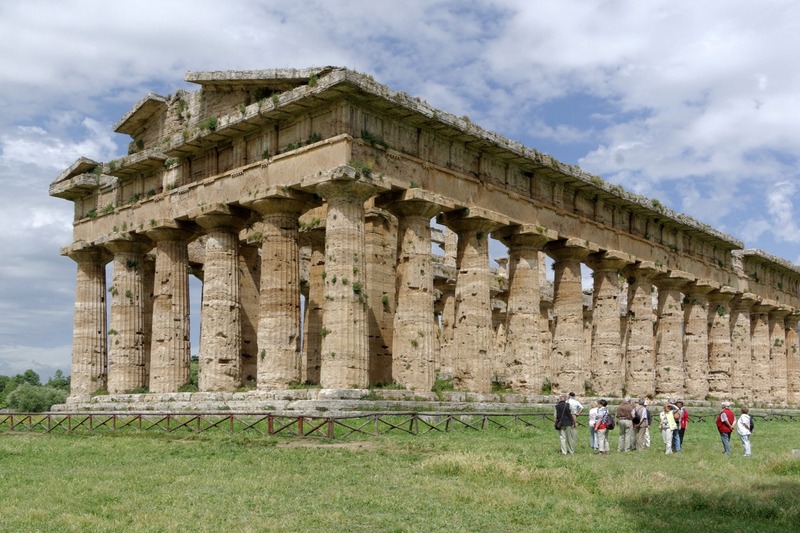 Culturally, the importance of Paestum is due the beauty of its temples and excellent state of their preservation and in a natural and serene countryside setting. Three majestic Doric style temples in the valley reflect different lights and shadows depending on the hours and seasons. Many writers, poets and artists like Goethe, Shelley, Canova and Piranesi, were fascinated by this spectacular view and used the site as a source of inspiration. 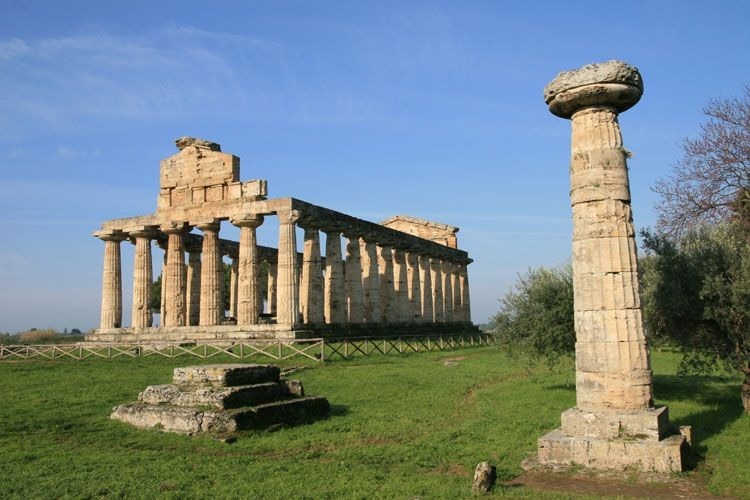 The 6th century BC Temple of Hera is the oldest. 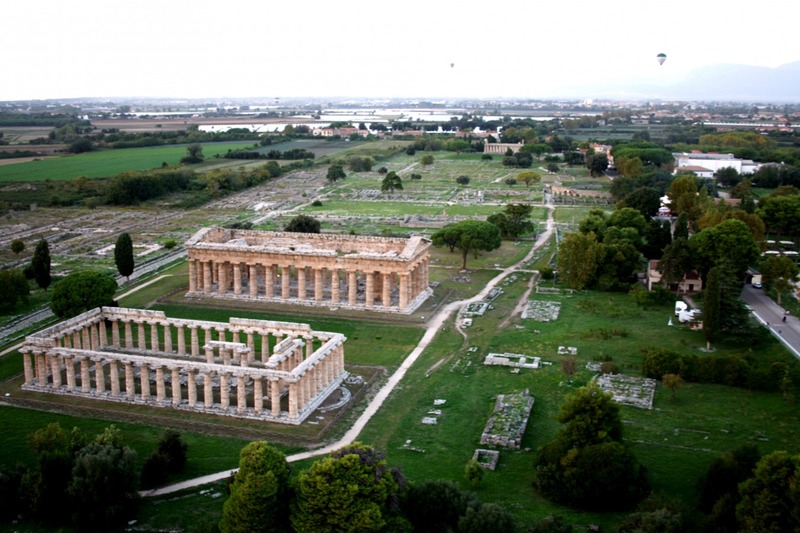 The warm golden colored Temple of Neptune dates the 5th century BC. The Temple of Ceres, 6th century BC, actually dedicated to the goddess Athena, was transformed to a church and houses during the middle ages. 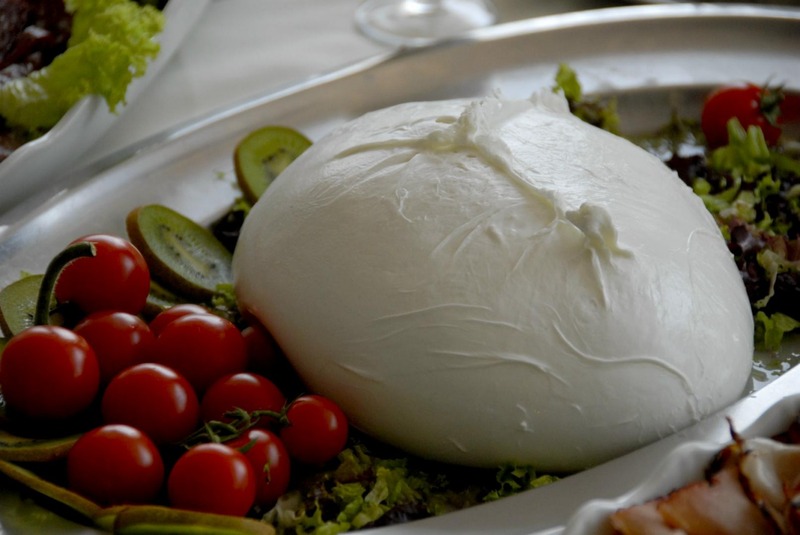 After exploring this amazing archaeological site our journey continues to one of the area’s largest and most famous Buffalo Mozzarella dairy Farms of the area. 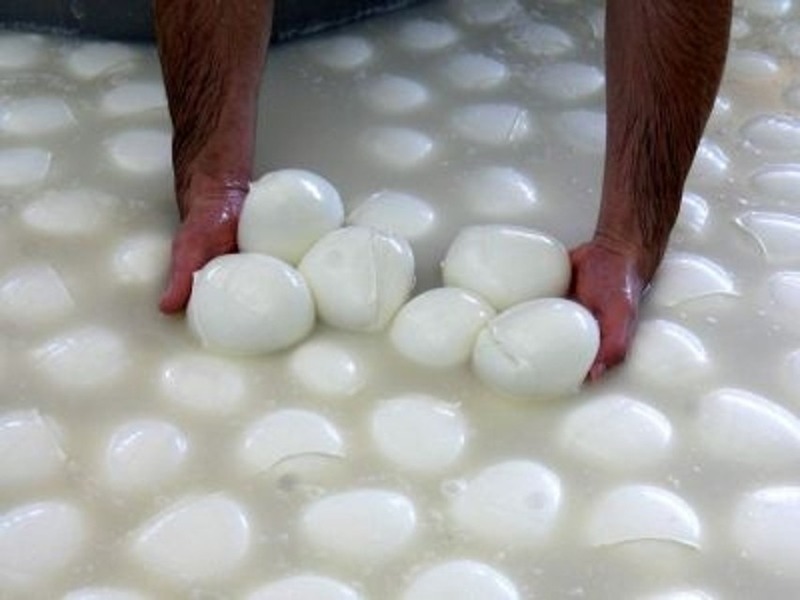 A private visit to the farm allows you to learn about the very special process involved in this cheese production. 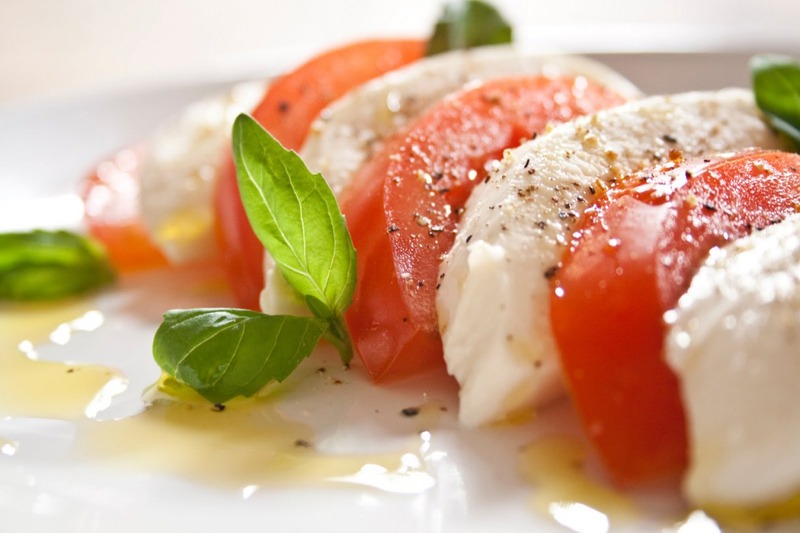 The visit would not be complete without several very fresh tastings of the world famous, delicious mozzarella cheese, originating in Italy, and specific to this southern area.